Join the Movement! Collaborate With Over 150+ Global Medical Affairs Experts and Decision Makers to See Why Everyone is So Passionate About MAPS. 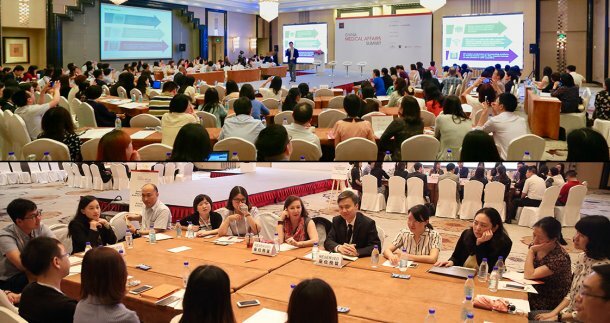 With keynote and expert panel sessions on such topics as How Medical Affairs and Commercial Departments Can Work Together To Maximize Value For Their Companies, Metrics & Key Performance Indicators (KPIs): Demonstrating Value, and The Impact of Digital & Multi-Channel-Marketing (MCM) for Medical Affairs in China, as well as a dedicated MSL program, the MAPS 2019 Summit will ensure that you leave with a new vision of how to approach the key issues that you face each day. All sessions are non-promotional, and developed in close coordination with our Executive Leadership and Advisory Council members and other senior industry executives – FOR MEDICAL AFFAIRS, BY MEDICAL AFFAIRS.